Anonymous Betting. Instant Banking. Americans Accepted. Pretty Much Everything You’d Want in a Sportsbook. 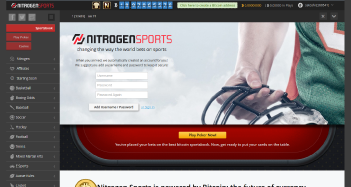 Below is our Nitrogen Sports review. They launched in 2012 – making them one of the older sportsbooks we’ve reviewed – adding an extra layer of trust to their brand. They’re mobile-friendly. They accept Americans. And they offer a unique betting opportunity that no bitcoin sportsbooks (I know of) offer, let alone most big-brand fiat sportsbooks. They also offer to create something unique – just for you – that few other books seem to have the nerve to offer. So, for those reasons this is one of the coolest sportsbooks I’ve reviewed so far. Are you excited yet? Then read the review to learn more. Some lines are "juiced up"
* These opinions were posted as recent as 8/20/2014. 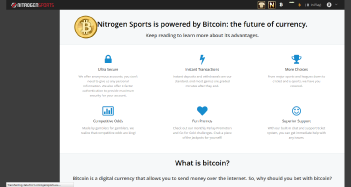 Nitrogen Sports accepts bitcoin (obviously). There are no confirmations, and their customers report fast – often instant – cash outs. You can also use Skrill if you prefer, for both deposits and cash outs. And when you click on these options there will be drop down menus with additional options – things like props, specials, various leagues (WNBA, Europe, and Australia), etc. One market they offer – that few other books do – including fiat sportsbooks – is e-sports. Betting is dead simple too. We really like their interface. And we’re not the only ones – <a href=”https://bitcointalk.org/index.php?topic=159098.0″ target=”_blank”>many of their customers do too</a>. 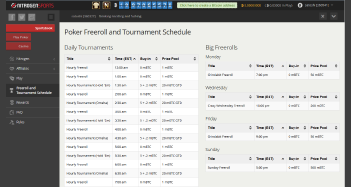 You’ll have a list of games and matches. In some cases you’ll have more than once options for odds / the spread. Then choose what you want, press the big arrow and it’ll transfer to the slip on the right-hand side. I also like their ‘starting soon’ tab. This shows what games are coming up so you can place your bets before it’s too late (because they don’t have live betting). Other than that… oh, there are 2 more things I thought was pretty cool. One, their min betting threshold is .001 BTC – or about .35 cents. That’s one of the cheapest bets you can make online. They’re also willing to match prices offered by other bookies. And they’ll create markets if there’s something specific you want to bet they don’t already offer action on. 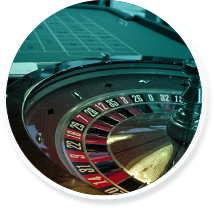 The biggest downside – according to players – is the overall betting options. There’s not too many of them. But I can see that improving in the future. And besides, it sounds like all you have to do is ask. Honestly… these guys are one of the best bitcoin sportsbooks I’ve reviewed thus far. What stands out the most to me is how much praise they get from their customers. That says more than this novice ever could. Then they offer unique betting markets. They’ll even create markets for you. 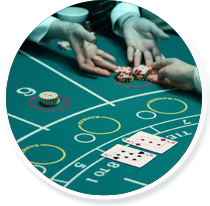 Combine that with anonymity, instant banking and Americans can bet here, and… you have a winning combination. I give these guys an A-. Go check them out today.